While 3D printing is excelling in many different fields, it has been rather low key in the one field in which you may assume it would be rather prominent and well known: Construction. While developments in that area are not scarce, 3D printing is not as famous for building houses as it is building organs and human cells. That looks like its going to change, as companies around the world are diving into building 3D printed housing projects, and the buildings are cropping up seemingly everywhere. Take this new project for example: a company has 3D printed a Suzhou-style Chinese courtyard in less than two months. 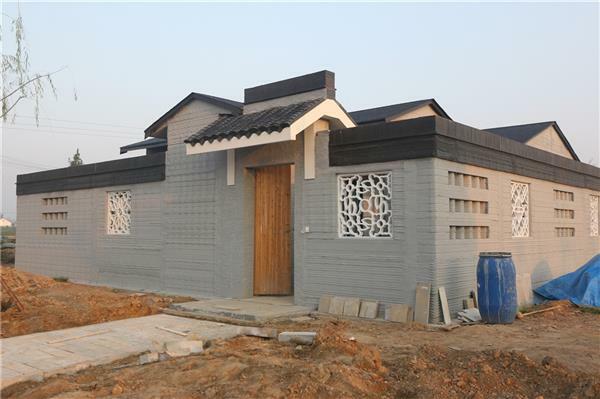 Built in Binzhou City, in East China’s Shandong Province, 3D printing construction company WinSun built the house fully from a 3D printer, and it comes with all of the amenities, including air conditioning. The house was built with a massive printer 150 meters (492) in length, 20 meters (65 ft) in width, and 6 meters (16 ft) in height. The technology wastes little of the concrete ink it uses, increasing efficiency and environmental friendliness. This was built layer-upon-layer, each between 0.6cm and 3cm in thickness. The prior modeling has allowed the printer to make the walls of the house hollow, giving planners the freedom to put insulation or load bearing material into the walls. 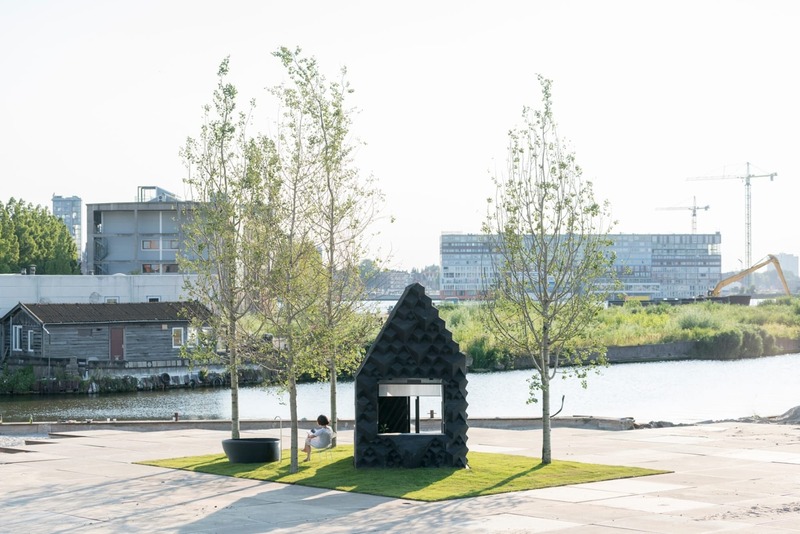 On another part of the planet, DUS Architects 3D-printed a tiny guesthouse in Amsterdam, which is meant to provide housing to short-term visitors. And best of all, it is right on the canal. Ultimately, the company notes that they hope to one day utilize these methods to help provide affordable and safe homes to fast-growing urban cities. The current production is just 8 sq m (86 sq ft), and as our population continues to grow, space will obviously be key. Then there is Dubai’s 3D-printed building, which is a 2,700-square-foot, single-story structure printed out of a special mix of concrete, fiber reinforced plastic, and glass fiber reinforced gypsum. And it looks astounding. It will serve to promote innovation and enhance communication, specifically as a meeting place for international delegates. It will also house the Dubai Future Foundation, a government initiative dedicated to solving modern society’s biggest challenges. Ultimately, 3D printing allows for a more personalized architecture, letting homeowners and business planners have the freedom to dictate how they want their houses to turn out. This frees them from the confines of traditional construction. And the price isn’t too heavy—indeed, it is one of the primary benefits. For the Chinese home, it cost just 5,000 yuan (or $750) per square meter. Moreover, that is expected to lower as the technology develops.